Chronic stress is different from many other types of stress that we know of and the reason for this is a very simple one: many people suffer from chronic stress but forget they suffer from it. This may sound like a bizarre statement to make but the truth of the matter is that many sufferers of chronic stress are so used to it being part of their everyday lives that they simply live with it as opposed to dealing with it. Not only does chronic stress affect the mind of the person suffering from it but it also attacks their body as well; problems in the mind can manifest themselves as physical illnesses leaving the sufferer run-down persistently unwell and in some extreme cases suicidal. Chronic stress can be caused by many things; the loss of a loved one, being part of an unhappy marriage, problems in the workplace, financial difficulties; there are many reasons why this condition can occur and whatever the reason unless the sufferer realises that they are indeed suffering from it their problems will magnify. Indeed it has been suggested that there is a link between chronic stress and cancer. One of the main problems with chronic stress is that it can lead to something more serious and in a lot of cases can lead to serious bouts of depression where the sufferer feels suicidal. It can even lead them to violent behaviour and a complete nervous breakdown. Closely linked to depression chronic stress is – as we have already mentioned – something that an individual can suffer from without actually being aware of it. It is unfortunate that family, friends, and work colleagues are all too aware of the problem but convincing the sufferer of their condition can be very difficult indeed. Once the sufferer has admitted to themselves that they do have a problem and seek medical help they will find that initially they have to undergo a psychological evaluation. This is designed to determine whether or not the sufferer can be treated using medication and professional counselling or if they need to spend time under supervised care to achieve a recovery. This may sound bad but in the long term this is the lesser of two evils and if a sufferer can – by their own decision, or by the decision of a loved one – seek this help then the chances for a complete recovery are good. It is unfortunate sometimes that as family members we have to make decisions on behalf of a loved one but rest assured it is for the best. If you are a person who thinks that someone close to them is suffering from chronic depression you can try and encourage them to visit their doctor or you can consult your own doctor and ask them for advice on how to best deal with the situation. 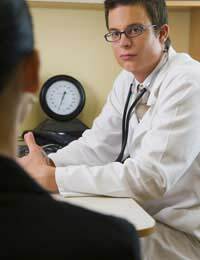 Remembering of course that a doctor cannot discuss the details of another patient’s medical history they can advise and offer expert help on how to go about getting the help that your loved one needs to make a recovery.